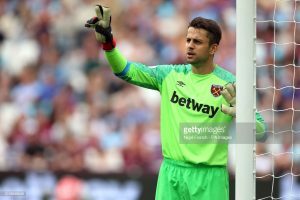 Hammers goalkeeper Fabianski was the only West Ham player to receive an average player rating above seven in the Claret and Hugh match ratings of several hundred readers votes. Fabianksi scored an average score of 7.59 to get the Claret and Hugh man of the match, top of the sixes was Robert Snodgrass on 6.78 followed by Declan Rice on 6.71, next came veteran Pablo Zabaleta on 6.6, substitute Angelo Ogbonna received a rating of 6.5 with his defensive partner Issa Diop scoring 6.42 with Michail Antonio last of the sixes scoring an average rating of 6.35. The players will all want to be scoring higher ratings after Christmas when West Ham faces Southampton on the South coast on 27th December.